Featuring 25 startups, 22 of which are focused on bitcoin or its open ledger, the blockchain, Boost VC’s Tribe 5 Demo Day showcased a flurry of early-stage companies, all bidding for coveted investor interest. 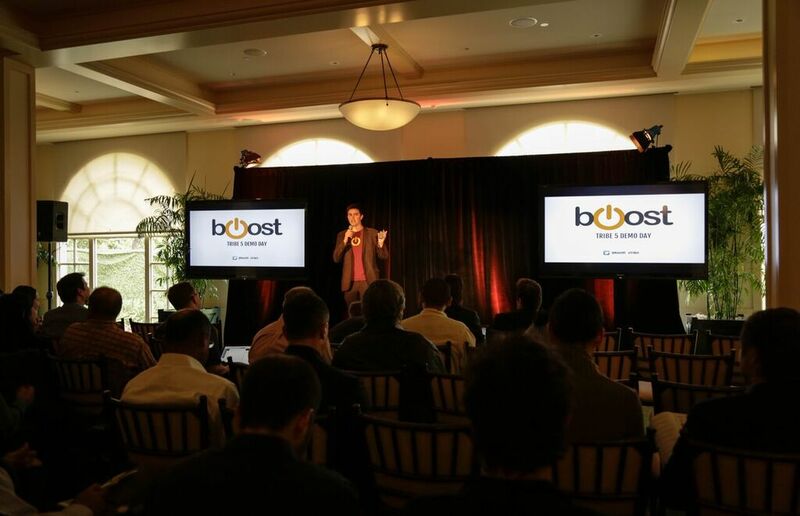 As stated by event emcee and Boost VC CEO Adam Draper, this particular demo day promised more bitcoin startups on one stage “than there have ever been in history”, meaning the task of standing out, and making progress on funding goals, was no small feat for those involved. 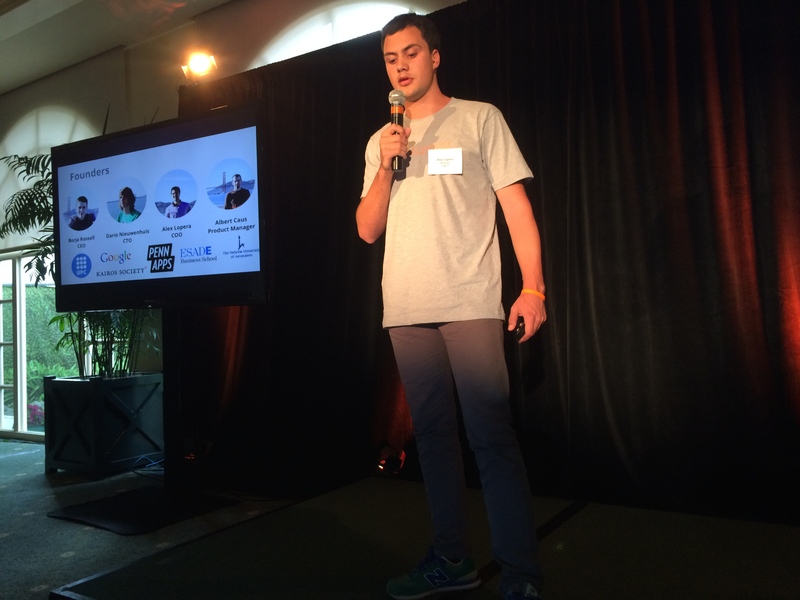 Packed into three-minute bursts, many pitches sought to illustrate user growth and the utility of the given product in larger, more well-known markets. Often the emphasis was on how such products might be beneficial for consumers beyond those in the bitcoin community on the basis that the technology could help lower costs or improve existing services. Specific mentions of bitcoin were often secondary to the startups, a change from past events where infrastructure companies were more numerous. For example, among the most frequent subjects of attack was the remittance industry, with six startups targeting this market – BitQuick, Bitrefill, BlinkTrade, BTCPoint, Celery and Zapgo. Companies like CleverCoin, Coinage and CoinJar, by contrast, were among the few seeking to strengthen the foundations of the ecosystem through traditional financial industry models. While the end result may suggest that more than 20 bitcoin startups might have been too many given the current state of the industry, Draper nonetheless was forceful in his opinion that this class would have a lasting impact. While only time will tell for certain, here are five startups that made us believe they’re on their way toward this lofty goal. You can image the surprise, calling to inquire about a new Middle Eastern bitcoin trading platform only to reach an Ohio State University undergrad in his dorm room. Such was my introduction to BitQuick in August 2014. 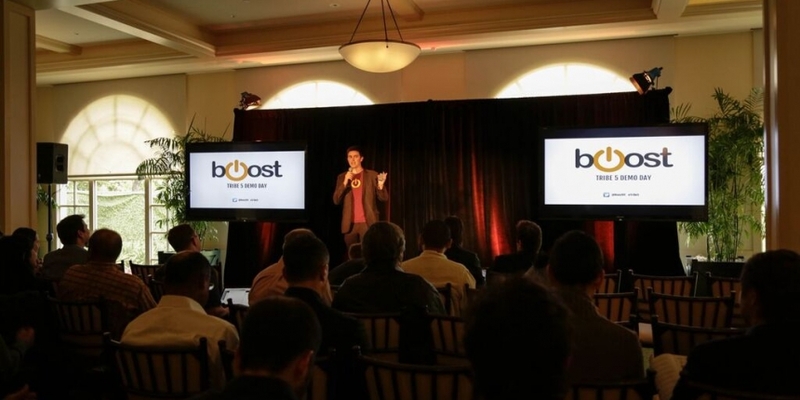 More remarkable than this turn of events, however, has been the company’s refocusing before and during its time at Boost. As a US-focused bitcoin buying and selling platform, BitQuick is now aiming to make inroads in the cash-for-bitcoin market long dominated by a single competitor, the Finland-based LocalBitcoins. 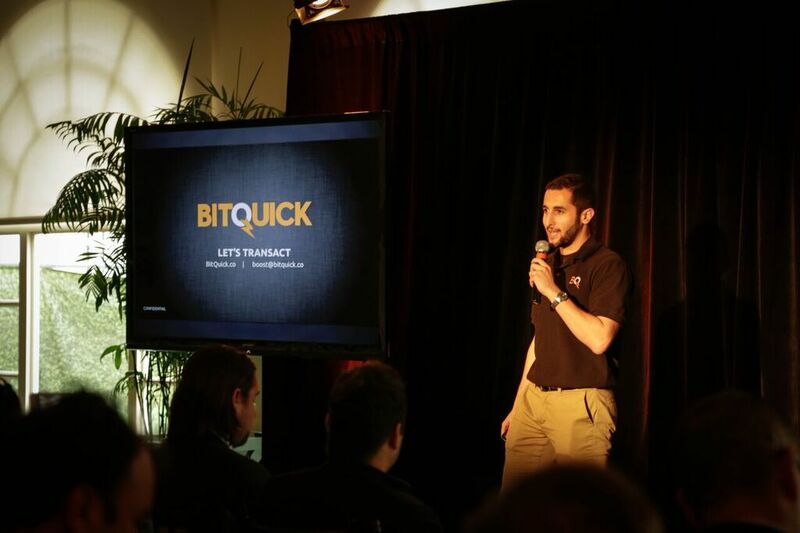 By offering a peer-to-peer marketplace that allows buyers to deposit cash at local bank branches, exchanging the funds for bitcoin with sellers online, BitQuick aims to be a safer, and as its name suggests, faster, alternative. This transformation from awkward beginnings to new potential was on full display during CEO Jad Mubaslat’s confident opening pitch. One of the surest presentations of the night, Mubaslat’s was tightly focused on disarming open questions about the company’s business model, moving seamlessly from presenting a clear concept to showcasing a growing user base, rising US dollar volumes and a focused approach to scaling the operation. Such was the opening salvo of Reveal CEO Matt Ivester’s enthusiastic introduction to Reveal, a social networking company billed as the first to use its own integrated cryptocurrency, revealcoin, which is an asset on the Stellar network. The founder of college gossip website JuicyCampus, Ivester had reason to be confident at the event, having already closed the majority of its seed funding from investors including Resolute Ventures and Bitcoin Opportunity Corp. While light on technical details, the pitch seems telling of the company’s strategy to come. Reveal has so far sought to target everyday teenagers outside the bitcoin community while courting unidentified “social media celebrities” to the service. Designed for quick sharing, Reveal allows users to design two-layer messages, the first of which can be peeled away to reveal a picture or drawing. Reveal aims to monetize through a similar strategy as the messaging service GetGems, mandating advertisers on the network pay with revealcoin. Users can in turn earn revealcoin for promoting the network, interacting with ads or by reading priority messages from other users. Reveal is currently operating in beta with an eye to launch this fall. Having previously raised €200,000 in seed funding as BitLendingClub, newly-minted Loanbase entered Boost as one of the more established companies in the bitcoin lending market. This solid market presence enabled CEO Kiril Gantchev to ground the presentation by boasting that the company had already cornered “40% of the bitcoin market” in its vertical, having completed 5,000 loans worth $4m since it was started in January 2014 by its own estimates. “The one true testament to our success is the number of returning lenders, it has been increasing 20% month over month since we started,” Gantchev continued. Gantchev was also able to showcase how Loanbase had successfully overcome larger challenges, such as the lack of credit scoring in many countries around the world, by creating its own version of the financial product for its users. Using bitcoin as a payment rails for loan delivery, Gantchev framed Loanbase’s next challenge as one that would find it seeking to deliver its products to the global unbanked. 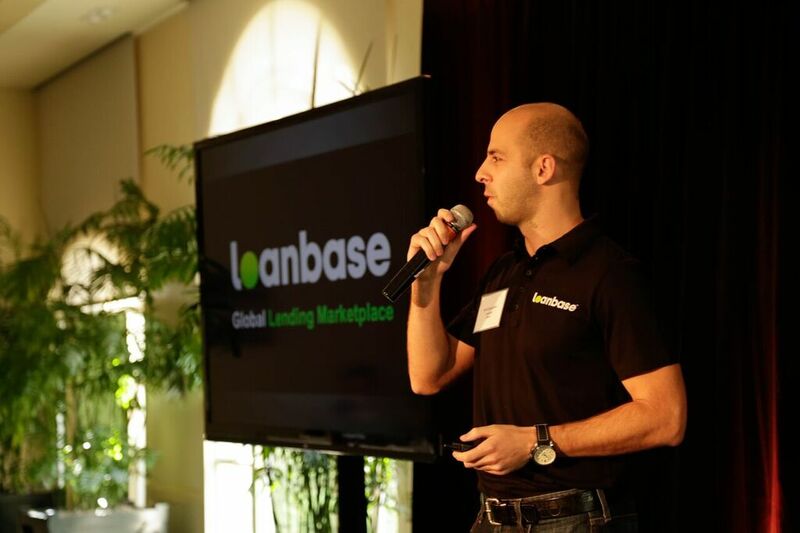 “Loanbase is a global lending market,” he concluded. Sure, CEO Pieter Gorsira looked like he would have been more at home at a Danzig show than in the formal atmosphere of a polo club. But, standing out has its advantages. Gorsira’s casual attire aside, Lawnmower remains as compelling a product as ever, allowing users to convert “spare change” into bitcoin when making everyday banking purchases. The roundabout description, however, hides the app’s value – it effectively allows users to purchase small amounts of bitcoin without doing anything at all. Right now, of course, the app’s utility is rather limited as the investment app allows users access to only one asset. However, Gorsira sidestepped this issue by effectively framing Lawnmower within a small ecosystem of micro-investing products. “The things in purple are boring and they don’t know who you are,” Gorsira said, comparing the app with a graph to competitors like Robinhood and Acorns. Gorsira charted a course for Lawnmower beyond its current 400-person user base, suggesting that it still plans to harness its access to bitcoin users’ bank and credit card spending accounts to deliver targeted products to customers. What was new in his latest talk was the vision to make micro-investing more of a social experience, one that would encourage users to invest in their favorite brands. 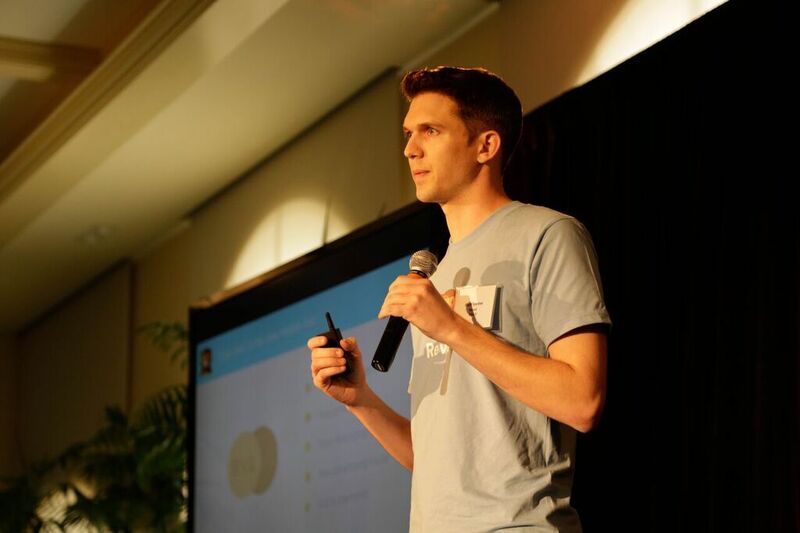 Sometimes an idea can transcend a lackluster pitch, and it’s arguable this was the case with bitcoin ATM solutions provider BTCPoint, one of the most cited in conversations after the pitches had ended. The standout among the assembled remittance companies, BTCPoint COO Alex Lopera Devesa laid out how the startup pivoted away from an ATM manufacturing business model to one focused on leveraging the already extensive global ATM network. “Today we’re working with more than 10 banks using their ATM infrastructure. Thirty percent of our volume is remittances. These are individuals sending money across borders,” Devesa emphasized. This successful scaling from seven physical ATMs to implementing its technology in 17,000 traditional ATMs in Spain and Poland was one of the most resonant examples of growth from the assembled startups. Going forward, BTCPoint set its sights higher in its concluding remarks, framing itself as a competitor to Western Union. But while other companies may have also issued similar declarations, BTCPoint was able to make the ambitious goal feel more within reach. 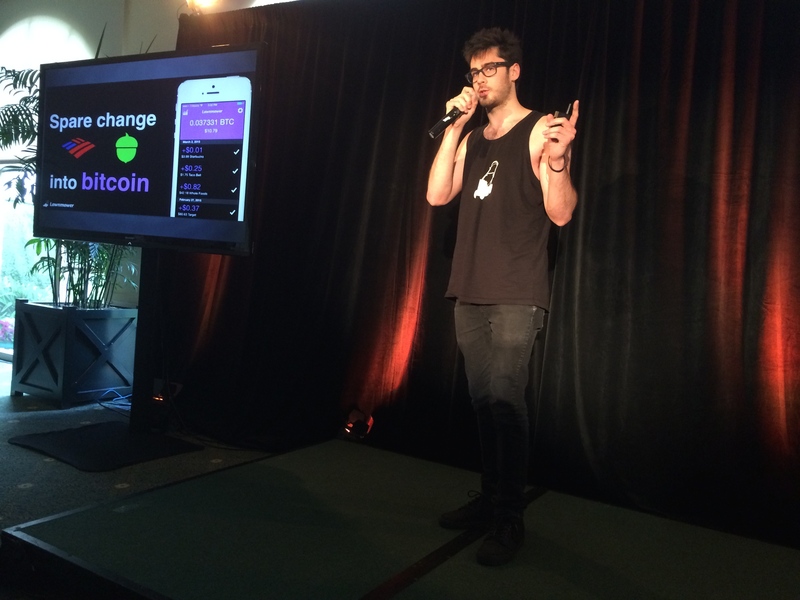 Images via Pete Rizzo for CoinDesk; Courtesy of Boost VC.